A former presidential candidate from Mexico’s Revolutionary Institutional Party (PRI), which ruled uninterrupted for seven decades, has hinted that the 2006 presidential elections might have been rigged. Roberto Madrazo has said that according to information he had at that time, Andres Manuel Lopez Obrador – who was elected president in July – was ahead of former President Felipe Calderon during the 2006 elections. In a radio interview on Wednesday – a day after the country marked the 50th anniversary of the Tlatelolco student massacre – Madrazo said that while the elections were taking place, he could see Obrador’s lead. “In my preliminary results, Andres Manuel was winning,” said Madrazo, who was the presidential candidate for the PRI party in 2006. But he decided to stay quiet because he didn’t have all the information and because he believed the political cost would have been too high. “It would have dynamited the political system and the democratic life of the country,” Madrazo told the radio Telereportaje. 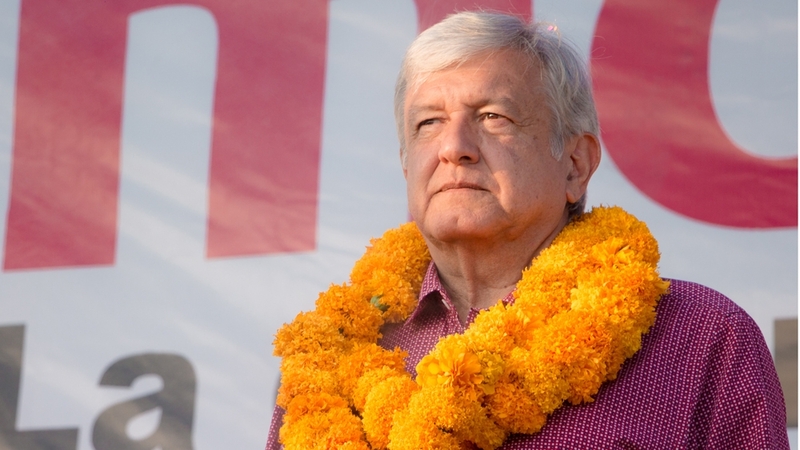 The PRI leader’s revelation has caused a stir in Mexico’s political circles. “It is a sad surprise for our democracy, to learn 12 years later, that during the 2006 elections there was fraud from the state,” Ruben Capdeville, PHD and a Mexican analyst, told Al Jazeera. “The election in Mexico was not respected, and if a government that called itself democratic did not respect the election, that democracy was a mockery, a fraud,” he said. After the 2006 elections, Lopez Obrador had approached the electoral commission to seek a recount of the votes as his party provided evidence of alleged fraud and dirty campaign practices. “We cannot accept these results,” Lopez Obrador said back in 2006. “We are going to ask for clarity. We are going to ask for a vote recount, polling place by polling place,” he said. His request was rejected as the electoral body declined to order a recount. The official results showed that Calderon – from the National Action Party (PAN) – beat Lopez Obrador by fewer than 244,000 votes, a margin of 0.6 percent. “If the IFE (the federal electoral body) had taken the decision of making a recount as demanded by [Lopez Obrador‘s party] ballot by ballot, I knew it could have been a favourable result for Lopez Obrador, but that was not my fight to fight,” Madrazo said. Lopez Obrador and his party had alleged that some polling stations had more votes than registered voters, that Calderon’s ruling party had exceeded spending limits and that a software programme was used to skew initial vote-count reports. AMLO, as Lopez Obrador is popularly known, staged massive protests, with his supporters blocking the capital Mexico City’s major avenue for weeks. But his party’s demands for a vote recount were rejected. PAN, however, dismissed the vote-fraud allegations. “I represented my party (PAN) in front of the IFE during those elections, and I can tell you the results were very tight,” Jorge Triana, a Mexican politician affiliated with PAN, told Al Jazeera. “Those elections practically split the society in two … the difference was really close, we will always have the doubt on whether there were mistakes in the counting system or not. “But to say there was fraud that was impossible, each polling station had observers, we had local observers, international observers, citizens trained and participating,” he added. 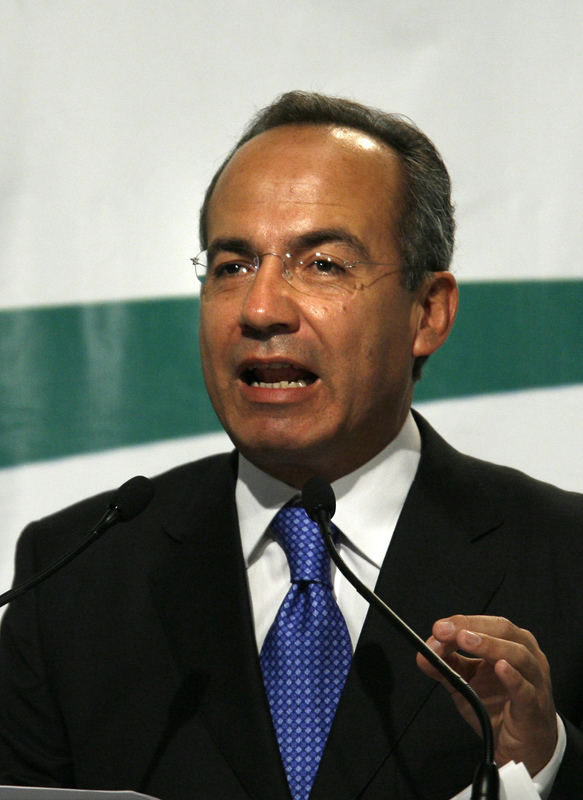 On Thursday, former President Calderon said he “won the 2006 election, by a very tight margin but I won”. In an interview with radio programme Por la Manana Calderon said that Madrazo’s statements were sensitive and that if he had any proof, he should come forward with it, adding that the reports on the elections were still on file with the electoral body and could still be reviewed. But many politicians and commentators still believe the 2006 presidential elections were rigged in favour of the PAN party. “I was also part of the 2006 elections,” Tanech Sanchez, a member of the Congress belonging to AMLO’s Morena party, told Al Jazeera. “And at least in the federal district I participated in, we found many irregularities in the numbers in the documentation process, and we raised them and apprised the authorities,” Sanchez said. People in Mexico have long suspected corruption in the political system. Many could not believe the defeat of Cuauhtemoc Cardenas back in the late 1980s. In 1988, Cuauhtemoc Cardenas, the son of Mexico’s popular President Lazaro Cardenas decided to run for president in a leftist alliance against the long-ruling PRI. He was popular in many parts of the country, with enormous crowds coming out to cheer him. After initial tallies suggested Cardenas may be winning, the government suddenly announced that the counting system had failed. 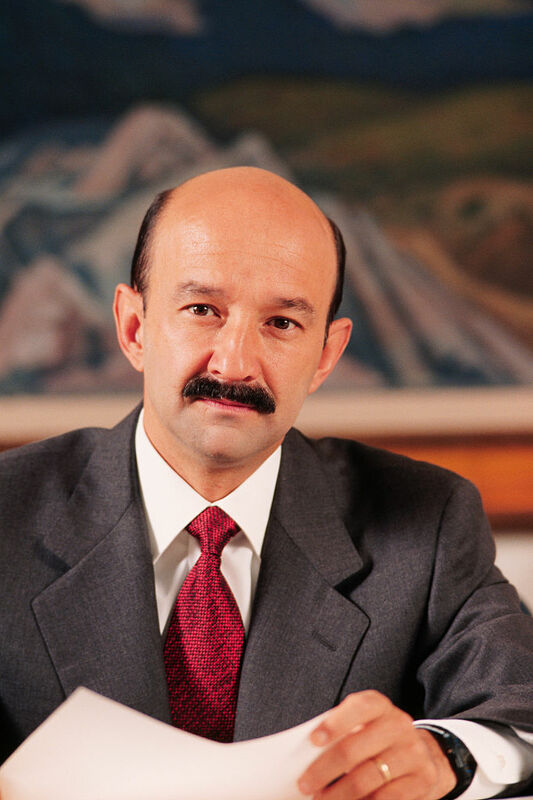 Later the government declared the PRI candidate, Carlos Salinas, the winner. The episode went down in Mexican history as the PRI’s most notorious case of vote rigging. The party was in power from 1929 until 2000. “Manuel Bartlett, who was secretary of the interior and watchdog during those elections, also pointed out that there was fraud,” Capdeville said. In 1994, Luis Donaldo Colosio, the presidential candidate from the PRI party, was assassinated. During the 1994 election campaign, the Zapatista Army of National Liberation (EZLN) led an uprising of indigenous people, bringing the issue of democracy, inequality and racism to the electoral agenda. Colosio promised to address the issues raised by the Zapatistas and spoke passionately about transparency, democracy, aid to poor farmers and for respect for the indigenous communities. In his election speeches, he advocated for opportunities for the young, for a greater role for women, and criticised the government for abuse of power. His campaign was well-received and boosted Colosio’s popularity, effectively representing a break with President Salinas’ neoliberal policies and a return to a nationalist and social-welfare policy. On March 23, 1994, a man later identified as Mario Aburto Martinez went up to Colosio, who was campaigning in Tijuana, and fatally shot him in the head. Although Martinez, a 23-year-old factory worker, confessed to the crime, many Mexicans believed that he was not the mastermind behind the attack, linking the murder to Salinas. But there was never solid evidence to prove this allegation. 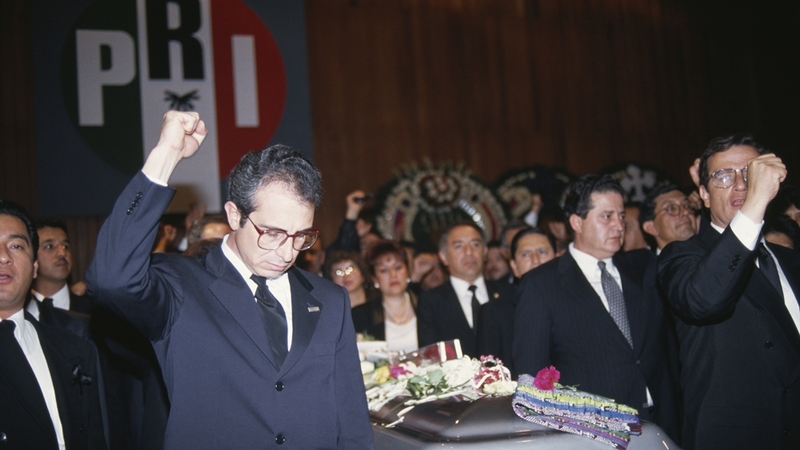 Ernesto Zedillo from the PRI was announced as the candidate to replace Colosio; he went on to win the 1994 presidential elections. In 2000, Vicente Fox’s victory marked the first time in 71 years that a non-PRI candidate won the presidency, leading a lot of people to believe that democracy had finally arrived in the country. “During 2001 we had a democratic transition,” Sanchez, the Congress member from AMLO’s Morena party, said. “I believe that his period of alternation were initial steps, but right now we are in front of a period of consolidation, and it is Lopez Obrador’s task to give it a consistency, so we can finally consolidate a democratic system,” he added. After two previous attempts, and 12 years of waiting, Lopez Obrador finally took power on July 2 after winning the presidential elections by a landslide, setting the stage for what he called the most left-wing government in the country’s democratic history since Lazaro Cardenas in 1934. “We did fear the possibility of fraud during these elections,” Sanchez said, as he participated actively with Obrador during the campaign. “But the victory was so overwhelming, the distance between the first and second place was so big, that the system couldn’t consolidate a fraud,” he added. Thousands of people celebrated his victory in Mexico City’s Zocalo square, where Lopez Obrador spoke after results were announced. “The new project of the nation will try to seek an authentic democracy,” he said, in a conciliatory speech. But his job will not be easy; one of his main challenges is the aftermath of a nationwide war on drugs that has left about 200,000 dead since 2006 when then-President Calderon ordered the military onto the streets. “Maybe, had Obrador been the winner in 2006, maybe we could have skipped this war that has left so many dead,” Sanchez, the ruling party legislator, said. “We don’t know if history could have played out differently, but now, we have the opportunity to compare. After some years, we will have the opportunity to assess Obrador and his policies, and see with facts whether he managed to build a different country, with a different vision,” Sanchez added. Next articleWho Would Scouts Take No. 1 If 2019 NBA Draft Were Today?